Hotel Tops 10, located in the east coast city of Gangneung, Gangwon Province, is inviting locals and tourists to enjoy a relaxing getaway on the occasion of its first anniversary. On Friday, the hotel will open up its Geumjin Hot Springs to the public for free. After a warm bath, visitors will be offered a free bowl of “janchiguksu,” or “banquet noodles,” a dish served on special occasions. 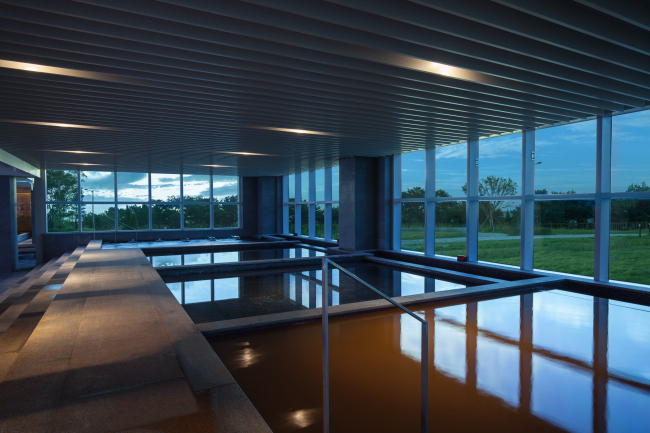 The hot spring facility opened in September, reflecting the property’s former use. Located on Heonhwa-ro, Hotel Tops 10 is famous for its beautiful view of the east coast sunrise. For more information, call Hotel Tops 10 at (033) 530-4800.